Saw this cute shelf at the Vet's office today. Such a sweet find ! 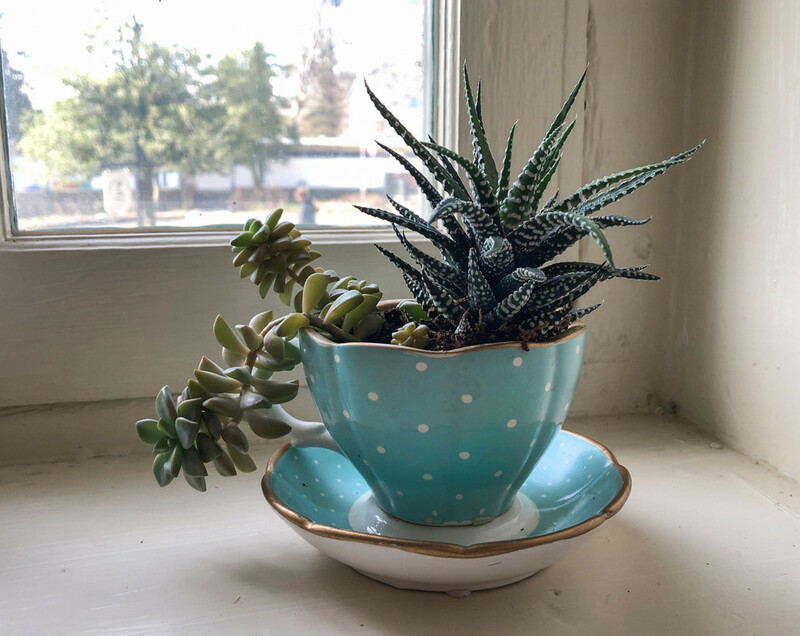 What a great idea for a succulent pot: a tea cup! I have a small collection of pretty cups I've purchased here and there but have packed away so they won't get broken. Dumb idea. I should have them out and in use as this one is. Lovely shot and such a good idea.